Star Wars: The Last Jedi - Will Snoke Turn Rey To The Dark Side? There's a hell of a lot to pick apart from the new look at The Last Jedi - from the stark words of Old Man Luke to a showdown between Kylo Ren and his mother, Leia; and a battle over which is more adorable, BB-8 or the Porgs? - but the biggest takeaway is Snoke's torture of Rey. It's a big plot point for the movie in its own right, as we see her under his control and clearly in agony. But it could point to something even bigger. "There has been an awakening, have you felt it?" That line, delivered by Supreme Leader Snoke, dominated the marketing for Star Wars: The Force Awakens. It wasn't until the movie came out we learned its true meaning: that the Force had awakened inside our new protagonist, Rey. Almost two years on from the release of that movie and we have another Star Wars trailer, with Snoke and Rey once again placed at its centre. The trailer draws parallels between two pairs of characters: Luke and Snoke are the wizened old Force-users, their true intentions shrouded in mystery; Kylo Ren and Rey are the young, innately powerful would-be Sith/Jedi looking to train under them. Snoke has been training Kylo Ren for at least a couple of years, as that's the minimum amount of time Luke's been on Ahch-To, and yet Han and Leia's son still hasn't completed his training. Rey, meanwhile, finds a Luke Skywalker nothing like she expected, and one reluctant to train her. 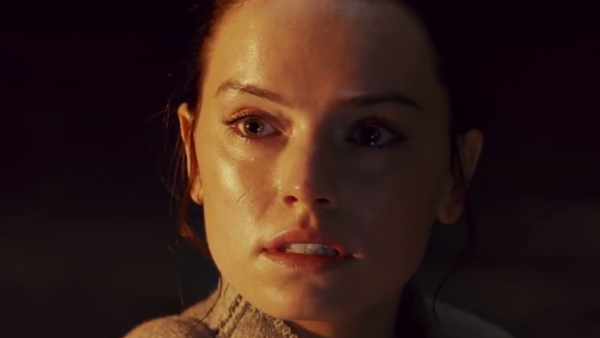 Snoke wants a powerful Force-user at his disposal, and Rey wants someone to help her "find her place in all this," as she says in the trailer. Going back to The Force Awakens, the novelisation of that fleshes out the duel between Rey and Kylo Ren. There, Rey hears a voice in her head, urging her to kill Ben Solo. With Snoke confirmed to have telepathic powers, it's all but certain this was him. Having felt her awakening, and then seen her best Kylo Ren in combat, he knows of her current power and the untold potential she possesses. She, meanwhile, just wants a sense of belonging, and we saw a clear anger within her during that battle against Kylo (which leads to hate, which leads to...). We saw Palpatine's attempts to upgrade for the shiny new Dark Side toy before, so there's precedent for Snoke trying the same thing. Somehow during the course of the film, Rey ends up captured by Snoke - perhaps after the Battle of Crait, since a number of major characters will turn up there - and, as we see in the trailer, he gets inside her head. 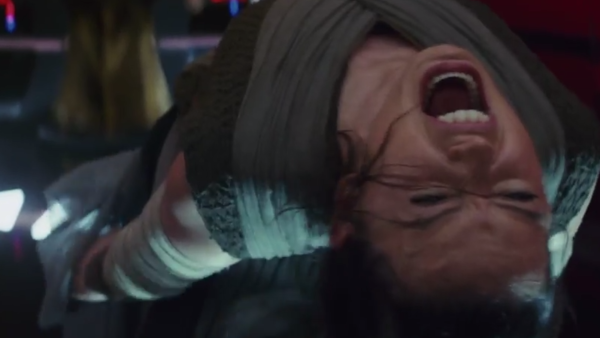 We don't know just how strong Rey is, or how she'll hold up to that kind of torture, and she's already felt the Dark Side before (again, going back to the Force Awakens novelisation, depending on how much stock you put in that). We saw Palpatine try and fail to bring Luke over, so if they really wanted to do something different might they have Snoke succeed where Palps failed? It'd be a huge shock if so. Rey is ostensibly the central hero of this new saga, even if her true identity remains unknown. 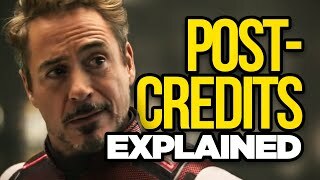 Having her switch sides would be a massive upset and completely flip the new trilogy on its head - but then, Rian Johnson has promised to do things differently, get weirder, and we've been teased a major twist. That ticks all the boxes and then some.